Snow leopards are my absolute favorite big cat, my recent trip to New York was not going to be complete until I saw one. 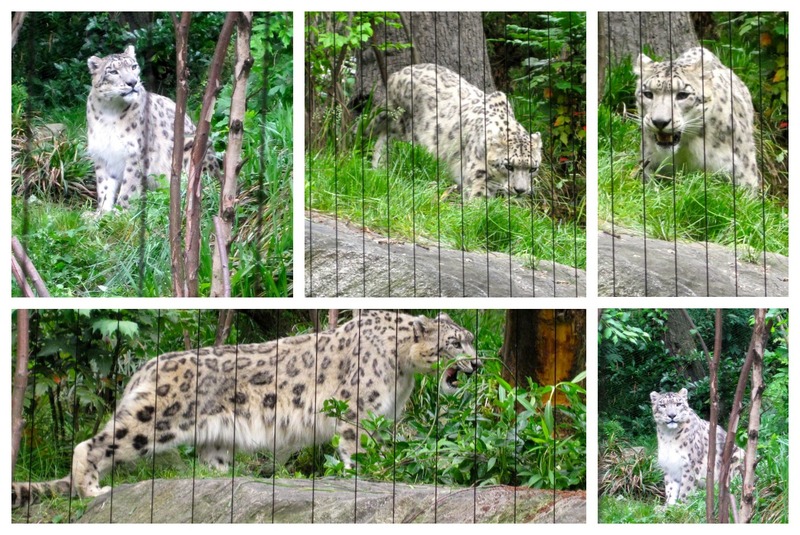 It has been 5 years since I visited the Central Park Zoo and at that time, they had already announced the Allison Maher Stern Snow Leopard Exhibit and I was ecstatic! Snow Leopards are critically endangered, check out this sad piece of information from the Wildlife Conservation Society. My family and I visited the zoo over Memorial weekend and didn’t have the opportunity to see a leopard on our first attempt. The keeper said he sleeps a lot during the day and mentioned the best time for a glimpse is around 10:00 am when the zoo opens or 4:00 pm. With that knowledge, we KNEW we would be returning! Sure enough, on Tuesday (May 28th) we arrived at the ticket line before 10:00 am. Once we purchased our ticket and gained access, we ran towards the snow leopard exhibit. Landscapers were cleaning some shrubs and said it would be a few minutes. We didn’t mind and waited patiently. Next, the keeper came out and told us a little more about the snow leopards as she walked the exhibit making sure the landscapers didn’t leave any tools and to test the electric fences. She was so friendly and told us all about the snow leopards. The Central Park Zoo currently has two (a male and a female). They recently mated so the female is off exhibit resting (trying to keep her stress free in case she is pregnant). Yes, there is the potential for BABY SNOW LEOPARDS people!!! After hearing more about the leopards, we had the opportunity of a lifetime to see the male (his name begins with an A, but for the life of me I cannot remember it). He was released and slowly roamed around his enclosure, sniffing where the landscapers had been working. He took his time and we admired his beauty for at least 10 minutes, then he disappeared. What an experience to see such a magnificent cat, he is absolutely gorgeous. Stay tuned to my blog for more New York photos from our family trip. We spent 5 nights in the Big Apple so I have TONS of amazing stuff to share (including more zoo information)!